In the world of high fashion, it is a truth universally acknowledged that, where Karl Lagerfeld goes, the industry follows. So, when he decided to hold Chanel’s Cruise 2014 show in Singapore, the small island state became an official destination on the fashion map. Two years later, Singapore’s growing influence is hard to ignore. No wonder Lagerfeld is known for his ability to spot the next big thing. The city boasts a boutique for every palm tree — and a steady stream of shoppers with bank balances as robust as their taste for luxury. Bloomberg recently ranked it number one among countries with the highest density of millionaire households, and Diane von Furstenberg dubbed it “the Switzerland of Asia” when she flew in to open two stores last year. However, it is not booming business, but an explosion of creative talent, that has transformed Singapore into south-east Asia’s fashion capital. 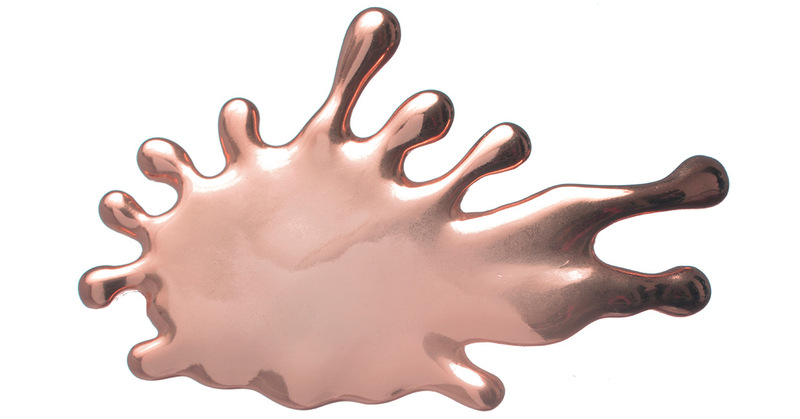 Top: Splat rose gold open ring;Above: Spilled Red silver ring; Burglar Ants open ring in rose gold with red topaz, all by Carrie K.
In the past, there has been the occasional breakout star — brands that rocketed on to the scene, dazzled and eventually flickered out. Song+Kelly was the great success story of the 1990s: the first local label to show at New York and London fashion weeks, its sleek, minimalist aesthetic catapulted it on to the rails of Selfridges and Harrods. Alldressedup followed in 2005. At the height of its eight-year run, it was carried by Net-a-Porter, Lane Crawford and Barneys New York. But the story always played out in the same way, with hurdles such as steep rents and erratic sales tripping up even the most promising of names. The paradigm shift has not been in the state of affairs, but in the culture and thinking. Collaboration is the new economy shaking up Singapore’s fashion scene and designers and artisans have discovered the perks of pooling their talents. Burglar Ants is another biting social commentary moulded in gold. 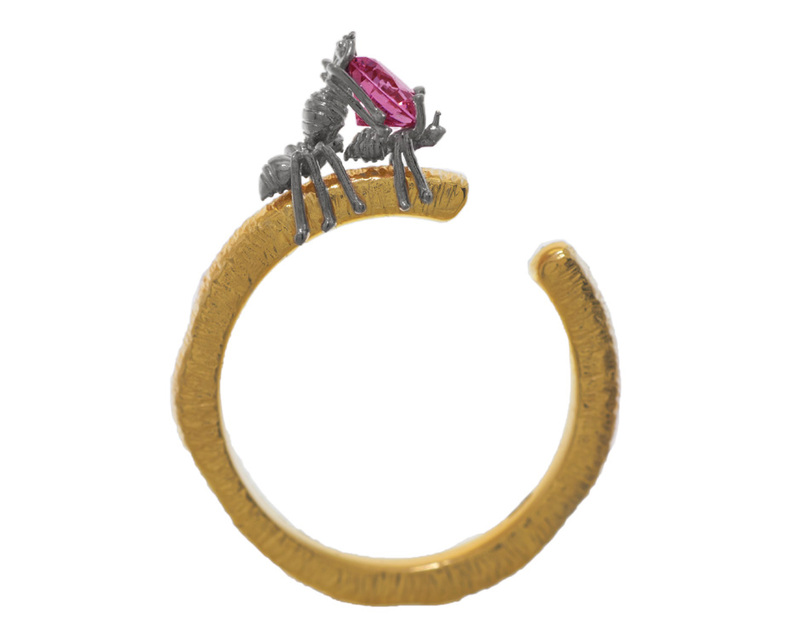 The bejewelled bijoux, which features ants running away with bright red and yellow topaz, are Kan’s play on Singapore’s materialism and its infamous pursuit of the five Cs: cash, car, credit card, condominium and country club membership. “These ants don’t steal sugar. They want gems instead,” she laughs. call of collaborators that includes Stella McCartney and Christian Louboutin. The Carrie K x Disney collection offers an edgy take on the classic tale, Alice Through the Looking Glass, with time-gear pendants and earrings in the shape of keyholes. 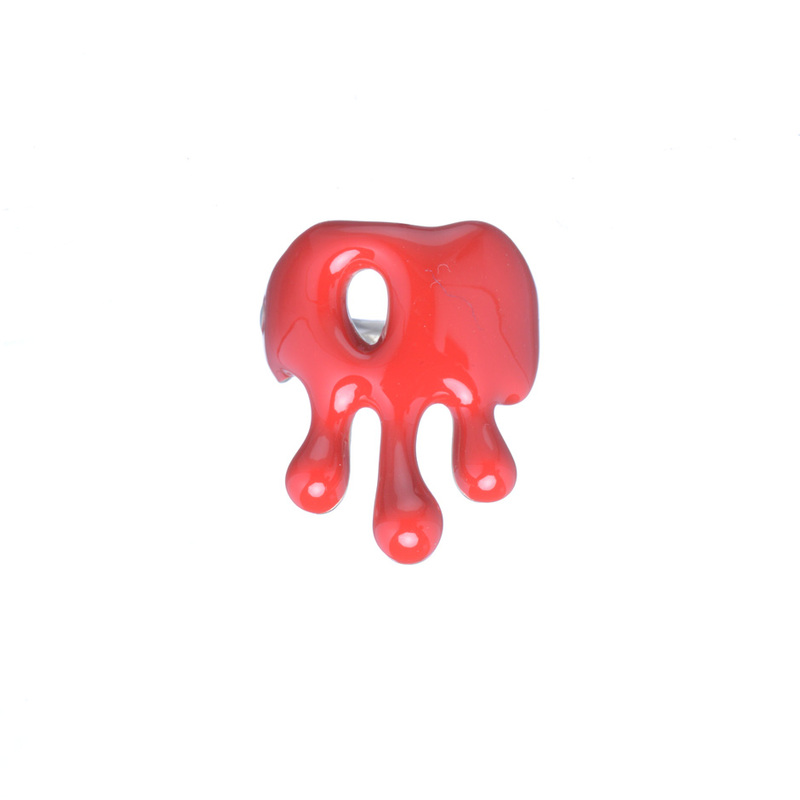 Above: Time Campaign timegear pendants by Carrie K for Disney, inspired by Alice Through the Looking Glass. It may go against the grain for an up-and-coming designer to share clients, retail space and even expertise with the competition, but Kan has her eye on the long game. “When I was presenting Carrie K at Paris Fashion Week, I was struck by how many people didn’t know Singapore had designers and thought of it only as a financial centre,” she says. “I figured if I could bring together independent designers scattered across the island every few months at the Carrie K atelier, we could make a bit of an event of it. This would also educate the public by showing them how we make our pieces, and the stories behind them.” The magnetic pull of the collective has garnered far more curiosity, media coverage and sales than any of the designers could have individually. 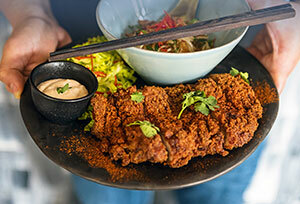 Just as London is known for its quirky verve and Paris for its feminine elegance, Singapore has become defined by a style that draws on its multi-ethnic diversity. Ong Shunmugam was a fledgling label when it first showed at Keepers in 2012. Today, it is one of the most fêted names in Singapore fashion and has garnered awards including the Grand Award (the highest honour) at the Design for Asia Awards 2013. Designer Priscilla Shunmugam was also the first Singaporean fashion designer to be invited to join the jury for the Cannes Lions 2015 International Festival of Creativity. Her artful take on local tradition defines glocal, weaving cheongsams, batik and kebayas seamlessly with the latest catwalk trends. At once modern and elegant, the designs — from qípáos with peplums to mandarin collar cropped tops with culottes — appeal across generations. 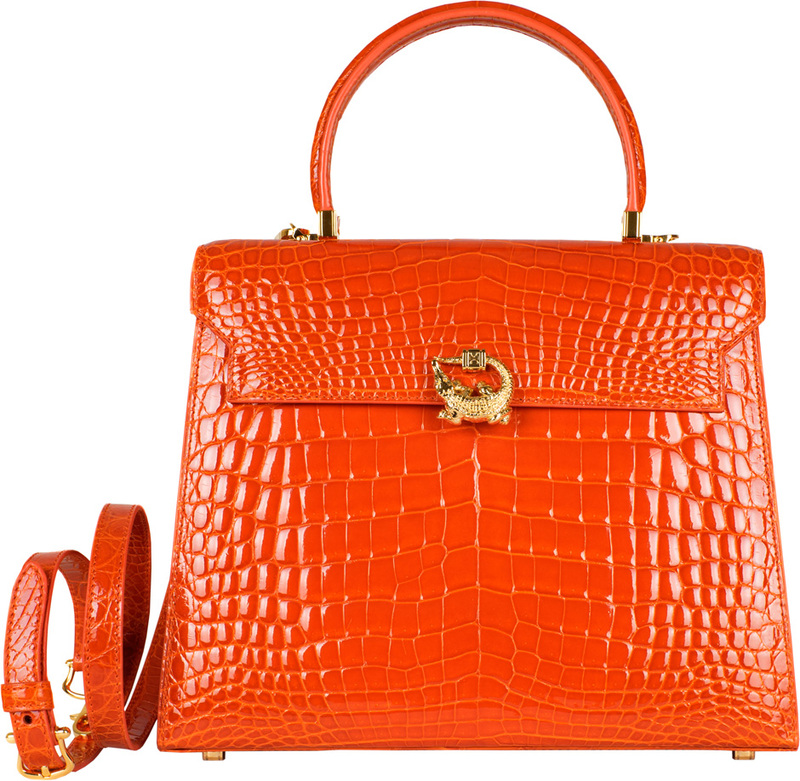 Above: Iconic crocodile handbags by Kwanpen — the Raffles in emerald and Jubilee in orange. Shunmugam describes her brand as a tribute to her mixed Indian and Chinese heritage. Similarly, her first venture into accessories features vintage fabrics from across Asia. A collaboration with Singapore’s oldest bookbinder Bynd Artisan, the clutches exquisitely splice the past with the present. Linen from Sri Lanka, silk Batik Tulis from Indonesia and nappa leather are woven together with Bynd Artisan’s flair. It is this clash of cultures that sits at the heart of the city’s fashion identity. If Ong Shunmugam is dressmaker to Singapore’s chic women, then Kevin Seah is the tailor for its modern dandies. Punctuating his classic herringbone and Harris tweed suits with a touch of the dramatic, he takes inspiration from Singapore’s bold mix of East and West. “I like the Colonial-Asian style,” he says. Seah has collaborated with artists across the globe: French graffiti artist Kongo spray-painted a sports jacket; Japanese artisan Naoki Nakagawa handcrafted quirky spectacles to complement his suits; and Korean painter Jieun Park’s prints are featured on silk pocket squares. 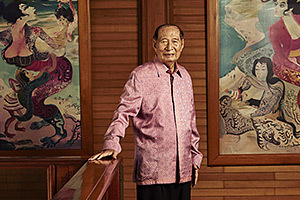 He believes that it is the hodgepodge of influences in Singapore that makes the country unique. ”We need to show more of our ‘mixed-up’ designs to the rest of the world,” he says. 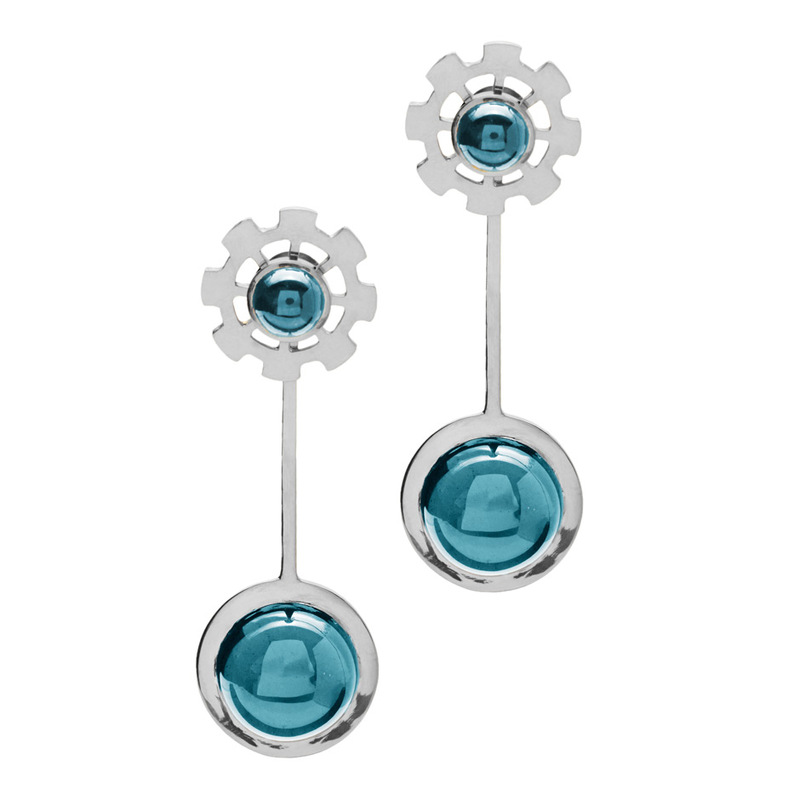 Above: Time Pendulum blue topaz and silver earrings by Carrie K.
For In Good Company, “mixed-up designs” aren’t about contrasting styles, but integrating different creative visions seamlessly. The brand is a fusion of design duo Sven Tan’s sharp tailoring and daring with fabrics, and Kane Tan’s penchant for graceful draping and artful details. The quiet luxury of its draped dresses, crisp crêpe tops and razor-sharp pants has made the label a staple in the wardrobe of modern Singaporean women. “We embrace diversity,” says Sven. Indeed its 3,000sq ft flagship in the heart of Orchard Road is about creating a community built on shared ideals and conversations. Here, one can find curated wares from other homegrown gems alongside the clothes — books by lauded writer Alfian Sa’at, handmade ceramics by Ves Pottery and botanical paintings by florist Triceratops. While the city may have been swept up by a tsunami of young talent, the old guard has held its ground. The grand master of cheongsams remains Lai Chan. His flagship at the Raffles Hotel is a first stop for society doyennes and their daughters when it comes to special occasions. Besides his famously flattering fits, there is the eye-catching row of coral or jadeite buttons from the centre of the mandarin collar down to the hip and subtly sensual touches like cutout backs and handcrafted floral embellishments. Leathersmith Kwanpen is the gold standard for crocodile classics, crafted with know-how passed down through the generations. 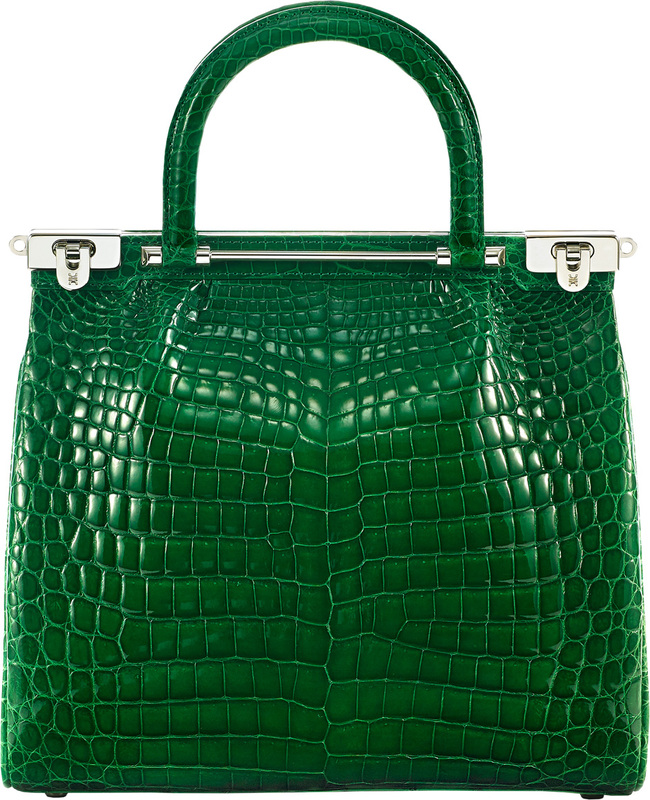 Today, its structured bags conjure an old-world elegance that is close to extinction. Handcrafted from skins sourced in the region (all certificated by the International Union for Conservation of Nature and Natural Resources), they are made in its local atelier. The Raffles, its signature 1950s style handbag, is an heirloom-worthy piece that recalls the grown-up chic of Grace Kelly and Jackie O. The brand’s latest boutique opened in London’s Burlington Arcade last year. Uniting the independent and the established, the global and the local, and the virtual and the real runway, is Singapore Fashion Week (SFW). 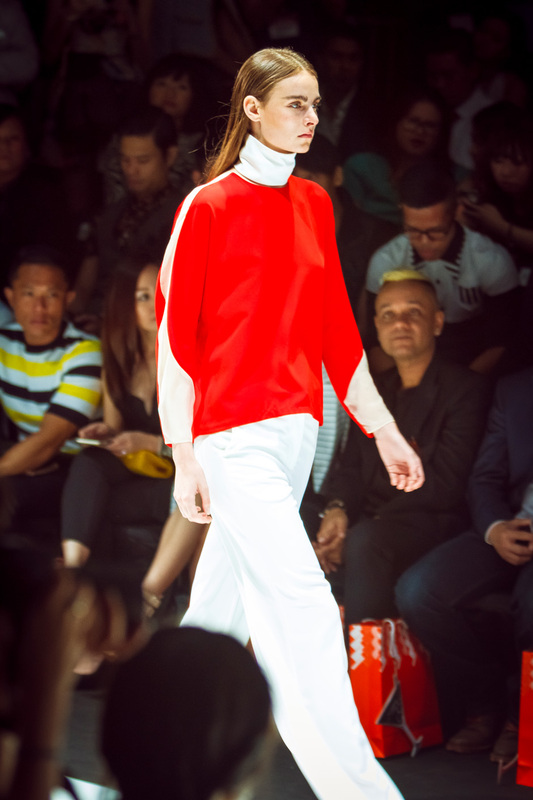 In 2015, SFW was bookended by runway shows from Diane von Furstenberg and Victoria Beckham. In between, local and regional names such as Rebecca Corrine Lam (Hong Kong), Zhou Jun (China) and Newman Han (South Korea) took to the catwalk, while local names such as Collate The Label and Exhibit made their debuts. “This is the only fashion week in the world that features established and emerging regional brands alongside the world’s most iconic international designers,” says SFW chairman Tjinn Lee. A strategic partnership with Council of Fashion Designers of America has broadened the scope and elevated the importance of the event. Putting young Singapore designers in the global spotlight has evolved from a lofty ideal to an attainable dream with two key initiatives. The inaugural Fashion Futures incubator programme took three designers — Priscilla Shunmugum of Ong Shunmugum, Chelsea Scott-Blackhall of Dzojchen and Sabrina Goh of Elohim — to New York last year for insightful trips to the studios of leading designers. Meanwhile the Fashion Talks Series during Singapore Fashion Week itself allows the creative community at home to access the minds of international heavyweights such as Victoria Beckham, Thakoon and Miroslava Duma. Recently acquired by SFW, the smaller-scale Digital Fashion Week, which launched in 2012, was more focused on under-the-radar designers. Now all Singapore Fashion Week shows are broadcast on YouTube and its website instantaneously. Lee says: “The union has the potential to build ties between the different fashion weeks in Asia and achieve our common goal of fostering the Asian fashion industry.” Digital media has changed the rules of the game and democratised the playing field. The impact of the Asian consumer on global fashion is no secret — Asia is the most important market for Dior and Chanel. The sea change today is the rise of the Asian designer. Singapore has the customers, the network and a creative climate that is drawing designers from all over the region. If the door was once ajar, it has now been blasted open.